Everyday thousands of people around the world would like to browse BBC to look for latest news and interesting information. As one of the greatest world's leading public service broadcasters, BBC provides various channel like BBC news, documentaries broadcasting, interviews, music and other lifestyle program. But BBC video don't allow to be downloaded, it's very frustrating. If you want to save videos from BBC, there is an effective method that can help you do that. AllMyTube is a great BBC Video Downloader which helps download streaming videos from BBC to various video formats such as MP4, AVI, MKV, MOV and FLV. Also, it enables you to download videos from Metacafe, Viemo, YouTube, Facebook, etc. with high quality and fast speed. You will find the BBC video downloading in batch is so easy by using AllMyTube. This professional video downloader will help you to download videos from BBC and other video sharing website like YouTube, Facebook. Firstly, free download AllMyTube on your computer. Then follow the detailed instructions to install it. After installed the AllMyTube, open your Internet Explorer and Firefox and then navigate to the video that interests you on BBC. If you are a Mac user, open your Safari, Chrome and Firefox please. Once you play the video, you will see a floating "Download" icon appears on the top right corner. Just click the icon to add this clip to the download task bar. You can add multiple videos to download in this way. Besides, it is possible to download streaming BBC video via URL. Copy the video's URL from browser and then go back to program interface to click "Paste URL". Once this video downloader finished analyzing, the video will be added to the download queue as well. 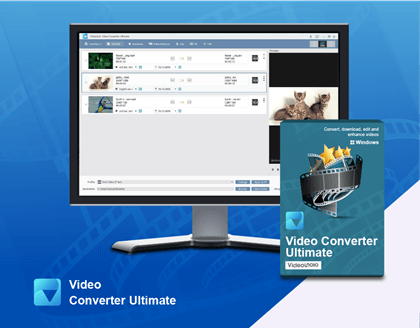 On "Finished" tab, select a video and click "Convert", you can then choose a compatible format to convert your files. Go to "Wi-Fi Transfer" tab, you will be required to install "Wondershare Player App". Once you finished the installation, open the player on your phone and go to "WIFI Transfer". Connect your computer and phone by scanning the OR code. Now find the video and select "Transfer to mobile" to start transferring. With this powerful video downloader, you are able to download your any streaming BBC video, convert it to MP4, MOV, AVI, WMV or MKV for your iPhone, Android phone and tablets. AllMyTube makes it possible to enjoy BBC videos anytime and anywhere. Get the trial version from here right now.